Ideal for chilly days - and you'll still be able to use your smart phone! Lovely wrist warmers. Only used them once so far and looks like they may have to go in the drawer for autumn. Weather beginning to feel like spring. Looking forward to using them along with my hat. Very pleased with them. 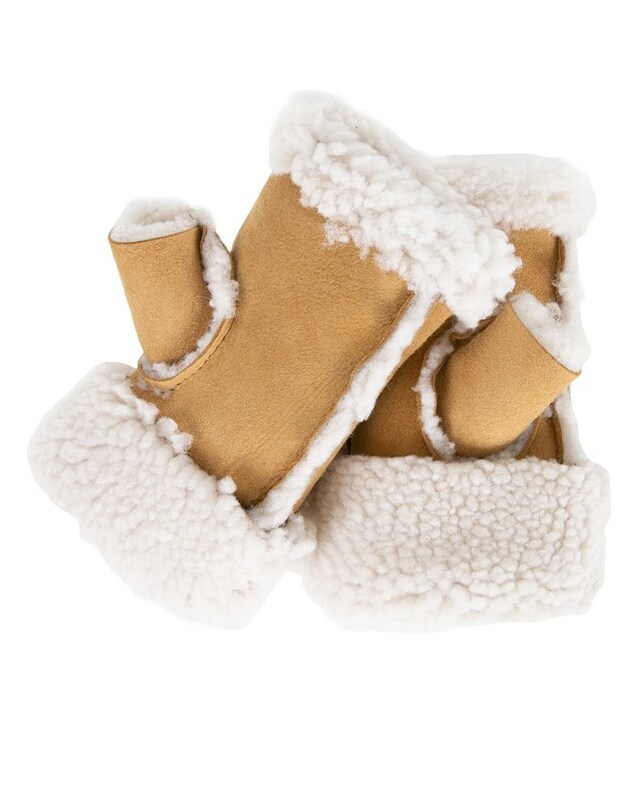 They are snug, soft and warm - and as I have a little arthritis in my thumb joint they offer support too, especially whilst using the handbrake on my car! Lovely mitts, thick black furriness; I usually wear full-finger gloves because my hands go numb in the cold, but want to stay cosy on my late birthday treat of a long weekend in Paris with my son mid-January so I can keep my camera at the ready! Excellent quality and stylish fleece silkier than shown; wearing lots of my Celtic goodies no worries about my look in Paris fashion week! Sounds lovely Jilly, do send us any pictures of you at Paris Fashion Week, very jealous!! Have these in vole and I’m wearing them all the time during this very cold weather. Am delighted with them, and they look chic yet are so warm and practical for me as I feel too constricted by gloves with fingers. Very pleased.